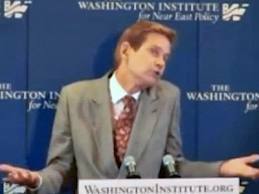 Posted on September 27, 2012, in Economic Affairs, Foreign Affairs, National Security, Politics and tagged Council on Foreign Relations, Gulf Of Tonkin, Iran, Iran–Iraq War, Neoconservatism, Patrick Clawson, Think tank, United States, Washington Institute For Near East Policy. Bookmark the permalink. 4 Comments. I know, its very revealing of how close we actually are to full blown conflict with Iran, and right on the cusp of a U.S. Presidential Election. On top of that the recession has never ceased in the U.S. .They say officially unemployment is between 8.0-8.5%, but independent studies evidence national unemployment numbers at about 25 percent. The upcoming “fiscal cliff” tax increase will hurt the Consumer Purchase Index over the next upcoming year. A 5 percent across the board tax hike for 2013 will also impede job growth. Though because of more tax money for the U.S. Government they may be in the mood to hire. With an already weak middle class households having to pay 4,000 dollars more in taxes a year will also attribute to a lag on prospected consumer spending in 2013. Combine all of the above with the U.S. Dollar Index expected to decline (inflation) according to economists, ongoing wars in The Middle East exacerbated by recent religious hate speech, 25 fleets converging in the Strait of Hormuz anticipating conflict with Iran over its nuclear prowess, QE3 initiation by fed chairman Ben Bernake’s unlimited quantitative easing money creation plan, Japan and China at odds over a group of islands that may bring them to war and E.U. anti-austerity turmoil. Another war and higher taxes are definitely not what we need at this juncture. most likely culprit for the child’s daily hyperactive behavior.